With the super hot and confident Priyanka Chopra as its brand ambassador, Pantene can never go wrong! It has stood strong as India’s favorite hair care brand for years now. Sure, the swanky advertisements of this brand are tempting enough to explore its products – but that’s not all. Its premium quality formula also needs to be commended. 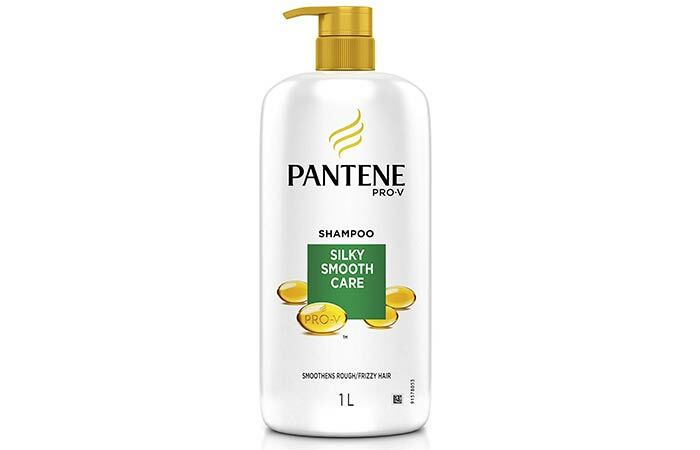 Pantene shampoos strengthen each hair strand with the new Pro-Vitamin formula and provide it with excellent care at the cellular level. They repair damaged hair shafts and improve the texture of your hair, leaving you with gorgeous and healthy tresses. 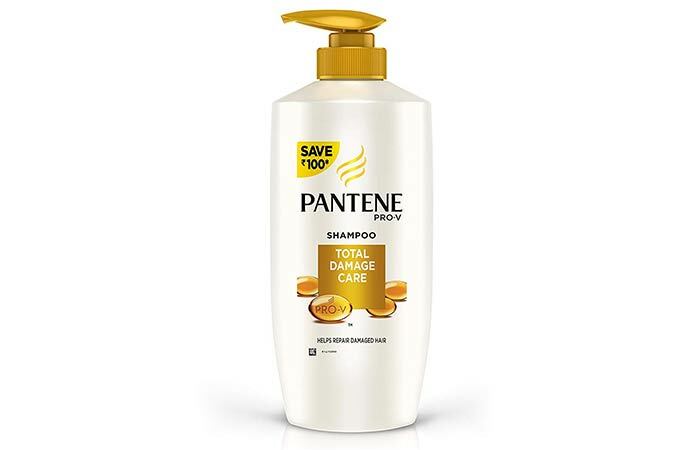 Here’s a list of the 8 best Pantene shampoos available in India. Take a look! Suffering from severe hair fall? Put an end to it with this Pro-V formula shampoo that claims to reduce hair fall by up to 98%. It contains keratin damage blockers that prevent breakage, resulting in healthy, strong, and thick hair. It strengthens your hair from root to tip and keeps it soft and frizz-free. This anti-hair fall shampoo embeds proteins into your hair cuticles to nourish them from within. Moreover, this shampoo is designed to remove excess oils and dirt from your scalp to aid healthy hair growth. The nutritive oils in this shampoo penetrate through your hair shaft to give you soft, silky, and manageable hair. Are you looking for a multipurpose product that can soften your hair and improve its health at the same time? Lucky for you, here’s a shampoo that does just that. 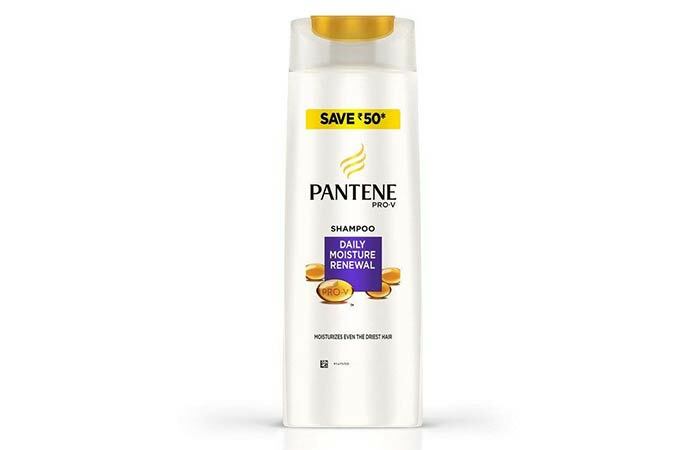 Pantene Pro-V Silky Smooth Care Shampoo deeply nourishes your hair, protecting it from damage and breakage. This smoothing shampoo locks in moisture and shuts out excess humidity to give you soft, silky, and frizz-free hair. Using this shampoo regularly will help you maintain the perfect moisture in your hair. Besides cleansing your hair, the keratin damage blockers in this shampoo keep your hair smooth and silky throughout the day. Want to get rid of split ends and breakage instantly? If yes, this is the shampoo for you! 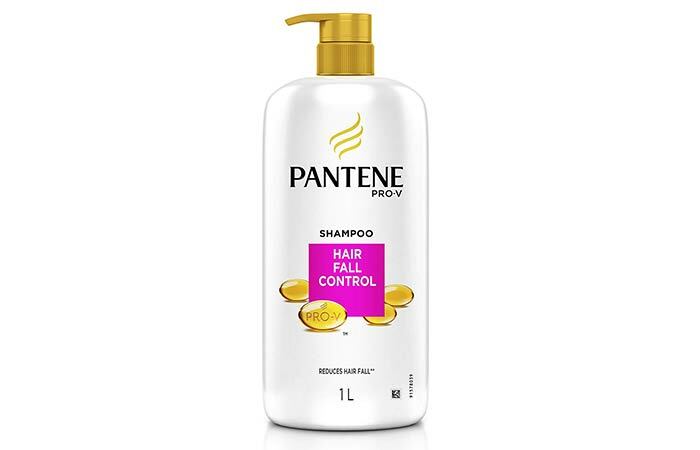 This damage-control shampoo by Pantene is formulated for dry, rough, damaged, and frizzy hair. This moisturizing shampoo repairs the driest of hair and leaves it looking smoother and softer. It prevents the 10 signs of hair damage and makes your hair healthy and more manageable. It repairs and revitalizes each hair strand, giving you thicker and stronger hair within 14 days of use. It imparts proteins to your hair shafts to rejuvenate the damaged cuticles. Do you spend a lot of time outdoors and need a daily moisturizing shampoo to get rid of split ends and dryness? Here’s a shampoo that deeply nourishes, revitalizes, and repairs damaged locks to give you soft, silky, and manageable hair. It contains a blend of nutrients that locks in moisture from root to tip. It soothes dry locks and leaves your hair feeling soft and hydrated. This oil-infused shampoo protects your hair from breakage and frizz, keeping it healthy for long after washing it. This shampoo is ideal for those with dry and flaky scalp. If you are someone who uses a ton of serums and styling gels, you need to wash your hair with this shampoo because it gets rid of product build-up instantly. The accumulation of scalp oils, sweat, and dirt can weigh your hair down, making it appear dull and lifeless. Pantene’s Lively Clean Shampoo not only cleanses away dirt and impurities but also revitalizes your hair to give it a fresh, healthy, and bouncy look. Dandruff is embarrassing. Many factors lead to dandruff, such as environmental pollution, product build-up, greasy scalp, and hormonal changes. With the Pantene Pro-V Anti-Dandruff Shampoo, you can put an end to these hair woes immediately and get healthy, clean, and rejuvenated hair. It gently cleanses your hair without drying out your scalp. With regular use, it can also prevent the recurrence of dandruff and keep your hair damage-free. With ingredients like zinc pyrithione and Pro-V complex, this deep cleansing shampoo promises to reduce the appearance of dandruff and flakes and improve scalp health. Are you noticing discoloration in your hair? If yes, check out this shampoo. Pantene Pro-V Long Black Shampoo repairs damaged hair and gives it a healthy gloss. It darkens each hair strand to deliver uniform and brilliant black hair from root to tip. It helps maintain the luster of your hair by moisturizing it. This daily shampoo strengthens and nourishes dry, dull, and limp hair. This nature-inspired shampoo features a blend of potent ingredients like avocado oil and active cassia that helps restore moisture to dry and brittle hair. This gentle cleanser contains rich antioxidants and nutrients that protect your hair from damage and breakage. It smoothens dry and frizzy strands while cleansing your hair to its renew shine. It strengthens your hair from root to tip, leaving you with visibly softer, healthier, and more manageable hair. It keeps your hair soft and shiny all day. Pantene is one of the most trusted hair care brands available on the market right now. Grab your favorite shampoo from this list, try it out, and let us know about your experience in the comments section below. 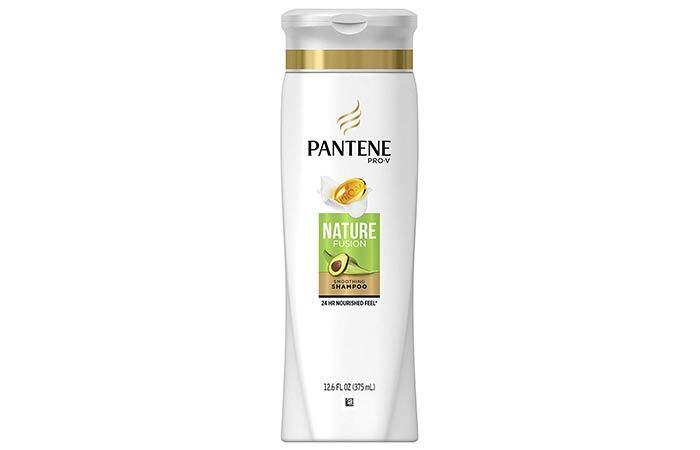 Pantene, from P&G is one of the most popular and reputed hair care brands in India & with its unique line of products, this brand easily vies for the top slot. 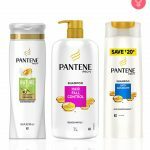 Here is a list of the best Pantene products, the most reputed hair care brands. 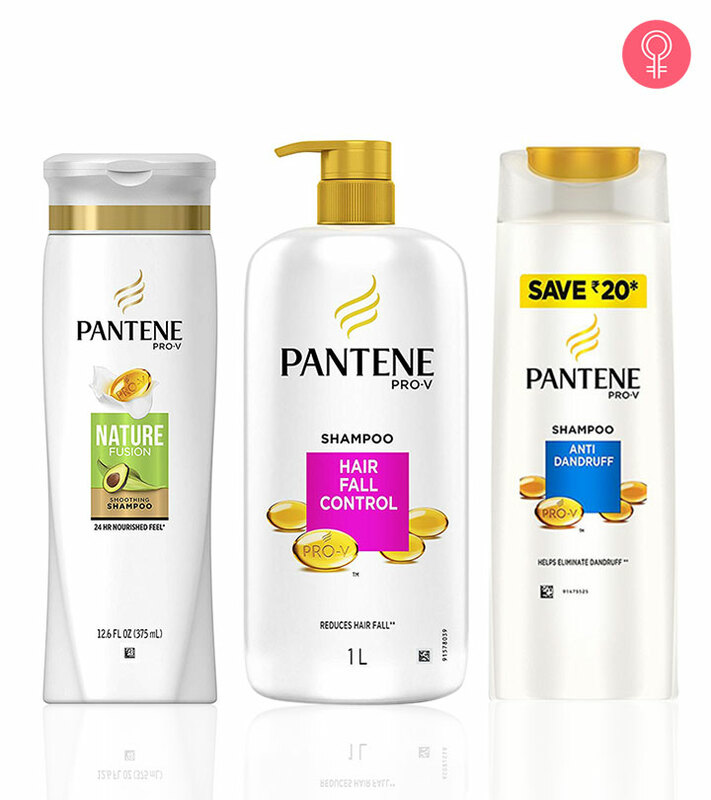 Get best hair treatment with this amazing pantene product line.